The Cemetery in the 1930s was a barren hillside. Cemetery in 1963. Note the difference in the landscaping. 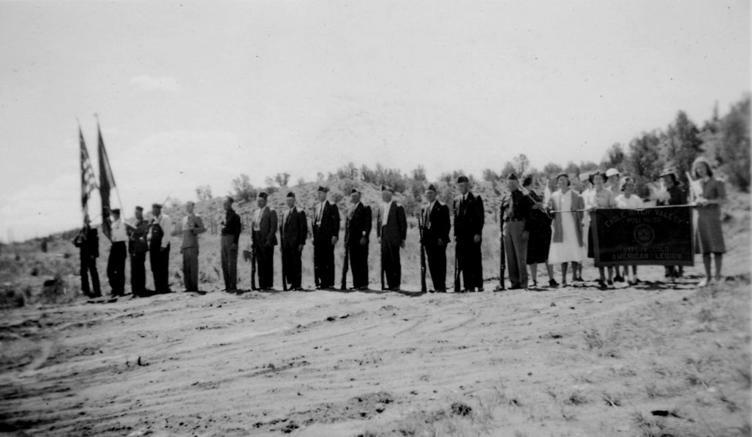 As is true with many burial places, a local tragedy spurred the development of the Sunset View Cemetery in Eagle. On July 29, 1885 Henry and Lizzie Hernage were moving a herd of cattle across a rickety bridge over the Eagle River when the weight of the cattle caused the bridge to collapse. Lizzie drowned. She was buried on a sage-covered mesa on what was then a portion of the Hernage homestead. Hers was the first grave in what would eventually become the Eagle cemetery. 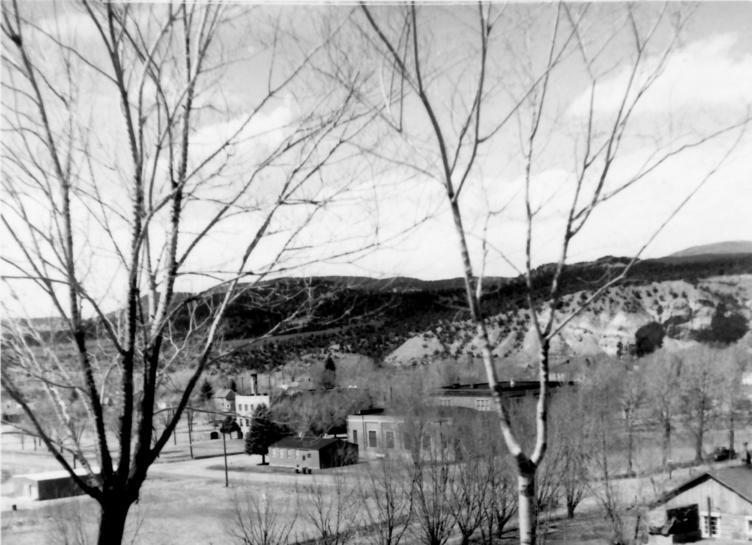 In June of 1901, the settlement at the mouth of Brush Creek was becoming enough of a community that the people recognized the need for a designated cemetery. Community leaders gathered to discuss what began a movement to create a “public burying ground” at Eagle. Rancher John A. Ewing gave the community parcel of land south of town bordering the old Fulford stagecoach road. The site included the Hernage grave. A year later, the cemetery association was organized. Such associations operated by selling grave plots and assessing maintenance fees from the people who owned the plots. The cemetery was enlarged in 1918, 1974 and again in 1990. For decades, the cemetery remained a barren sagebrush hillside. In the 1930s, the ladies of the Eagle Garden Club, led by Carolyn Thoberg, took up the cause of working with the Cemetery Association to beautify the cemetery grounds. Husbands were recruited for labor and grass and trees were planted. The brick pillars and bronze plaques at the entrance to the cemetery were added in 1953. The family of Jesse and Gertrude Sherman, pioneer ranchers, donated $500 for the pillars.